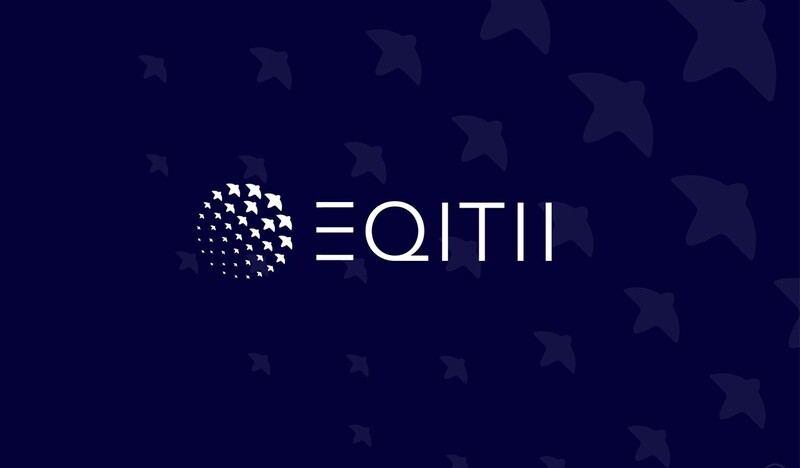 EQITII is a revolutionary data marketplace that gives owners control of their data on a fair and equal basis. 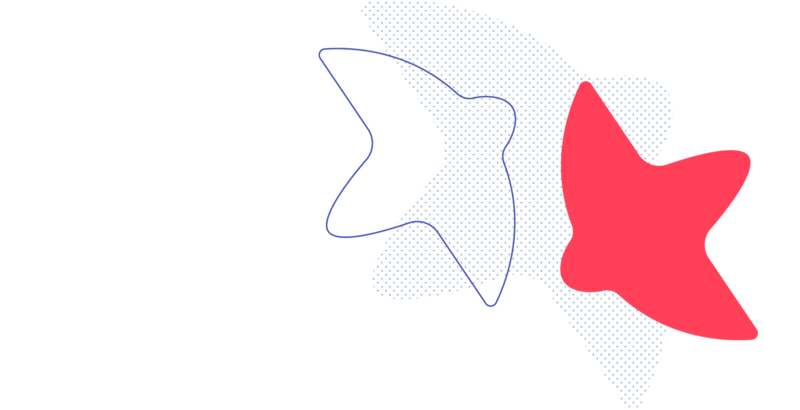 The company brings together an international team of experts, united by an overriding belief in equal rights and the conviction that democratized data is the future of business and humanity. Logos review, shortlist & final vote. Champaign! Our challenge was to find an umbrella name to express the company’s raison d’être and live with all its sub-brands and products, including a coin, into the future. A meaningful, memorable, cross-cultural name accessible to all stakeholders. A name that would say "data is human capital and we have to use it intelligently for the mutual benefit of all mankind". We found EQITII. EQ for equal, IT for information technology and II for dual intelligence – tech and emotional. Out of hundreds of propositions, we all voted for one word that encapsulates the vision, mission and promise of the brand. Pronounced EKITI but with connotations of EQUITY, this new word invites everyone to share the value of the data economy in the name of global equality. Nous avons donc créé EQITII. "EQ" pour équité, "IT" pour technologie de l'information, "II" pour la double intelligence : humaine et technologique. À partir d'une centaine de propositions, nous avons voté pour un nom réunissant clairement la vision, mission, et promesse de la marque. Prononcé "EKITI", en connotation évidente avec "EQUITY", ce nouveau mot invite chacun à partager la valeur de l'économie de la donnée au nom de l'égalité globale. 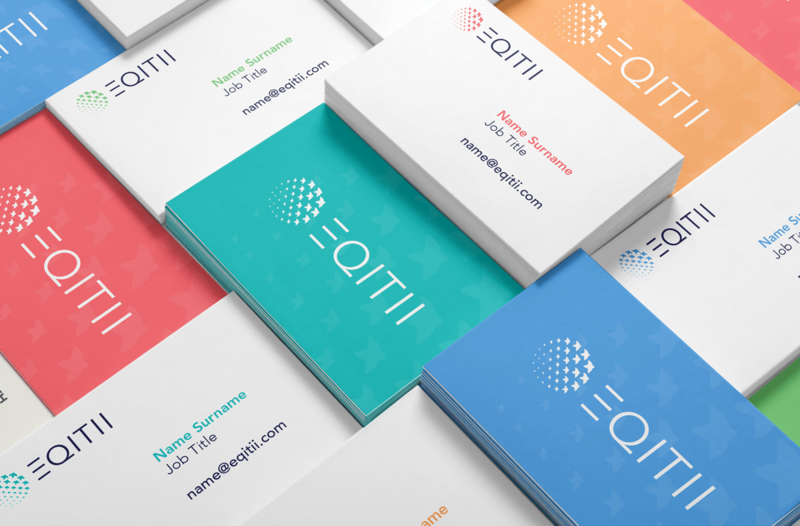 To fully express the global mission of Eqitii, we worked on a variety of different approaches based on five key concepts: sharing, free circulation, fluidity, complementarity and security. From there, we selected and fine-tuned the logo which embodies and gives priority to the brand’s three core values: globalisation, exchange and freedom. Finally, to empower the Eqitii team following the workshop, we gave them a complete Brand Book: a how-to guide enabling them to use the graphic chart and its applications autonomously. Need to accelerate your branding and identity projects? Don't hesitate, we would love to work with you! Stop thinking, Start doing !Stop thinking, Start doing !